If you’re wondering “Who can scrap my car in Chaldon?” then we can help. 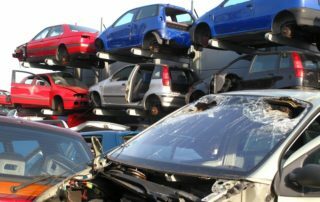 Get the highest price for your car today in Chaldon and Whyteleafe with Car Scrap Surrey. 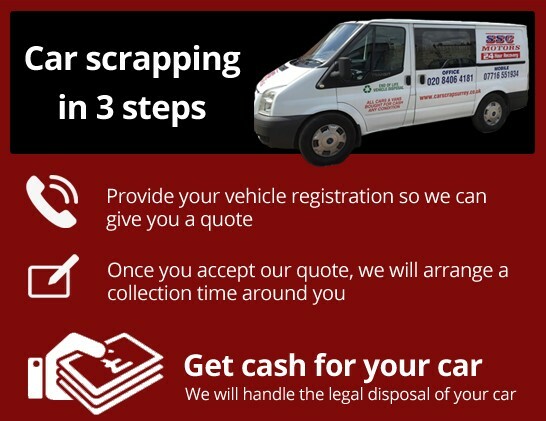 We specialise in recycling and scrapping cars and other vehicles in a variety of conditions in an environmentally friendly way – and you receive up to £150 in cash! Whether your car has failed its MOT, been damaged in an accident, or is simply gathering dust in a garage, our team are here to provide you with a unique quotation and we can come and pick up your car at a time and place that is convenient to you. We have over three decades’ experience in metal recycling so you know you are in good hands and we offer excellent customer care throughout the whole process. 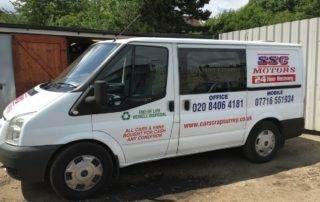 For more details on how to scrap your car, please call out friendly team today on 020 8406 4181 or 07716 551 934. 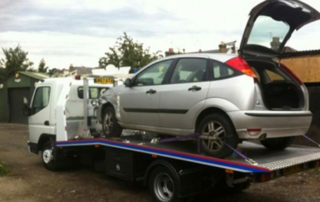 We offer a quick, hassle-free and polite service, where scrapping your car is made easy and we work seven days a week. All end of life vehicles are disposed of in accordance with current legislation and our car breakers are fully registered with local authorities, so you can have guaranteed peace of mind that your vehicle is being disposed of legally and responsibly. Scrapping your car isn’t just good for your pocket – it also benefits the environment because we remove every recyclable part of your vehicle before it is crushed, reducing landfill waste and safely dispose of any pollutants. 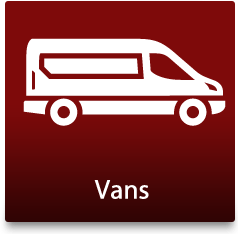 Alongside our scrapping business, we also provide a quick, reliable and affordable vehicle recovery service in Chaldon and throughout Surrey. 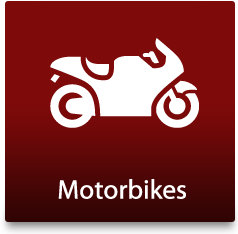 Based in Croydon, we can recover any type of vehicle, including cars, vans, motorbikes and three-wheelers (including trikes). So if you break down on the M25 and don’t know where to turn, we will get there promptly. 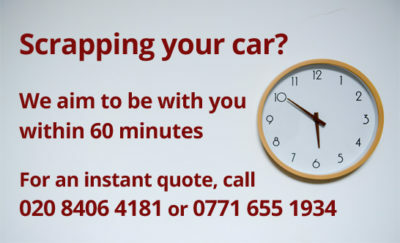 For more details, a free quote or advice on how to scrap your car, call 020 8406 4181 or fill out an online contact form and one of our team will phone you straight back. 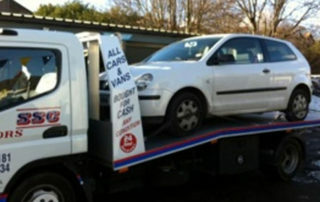 Do you want to sell a scrap car or salvage car in Chaldon for cash? 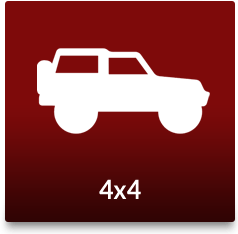 Call our car scrap yard today! 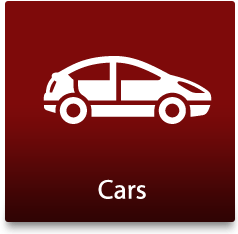 Has your car been involved in an accident or is it past the point of repair? 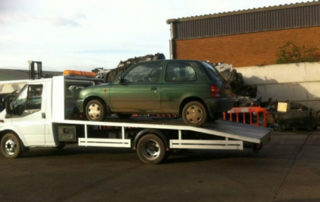 No matter how you want to dispose of your car, Car Scrap Surrey has got it all covered. We can dispose of end-of-life vehicles quickly and easily and provide you with a Certificate of Destruction and your cash! 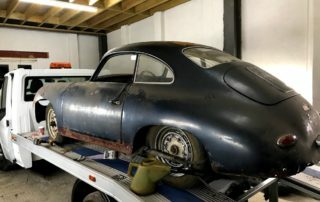 We also provide free recovery for MOT failures, non-starters, accident-damaged cars and other scrap cars, which will save you the time and cost involved with having to arrange to have your vehicle transported. You could even get more money in your pocket and we pay the best price for useable car parts, which include everything from tyres to doors and gearboxes to stereo systems. Save yourself the stress and cost of going to a dealership! We also carry and buy various types of scrap metal, so if you are looking for scrap collection, save yourself the money involved with site clearance and give us a call!